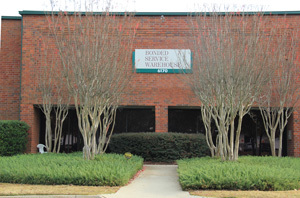 Bonded Service Warehouse is headquartered in Atlanta, GA with 5 current facilities around the greater Atlanta area. In addition, Bonded Service built 2 state-of-the-art facilities 14 miles from the Port of Savannah in 2007 to service the needs of our import/export clients. Always considered the distribution hub of the southeast, Atlanta has been Bonded Service Warehouse’s headquarters since 1931. Operating over 750,000 sq ft, please explore our facilities and capabilities and see how we can serve you. One of the fastest growing ports in the United States, Bonded Service operates 2 state-of-the-art facilities just a mere 14 miles from the Port of Savannah. Please explore our facilities and capabilities and how we can help serve you and your company’s logistics needs.